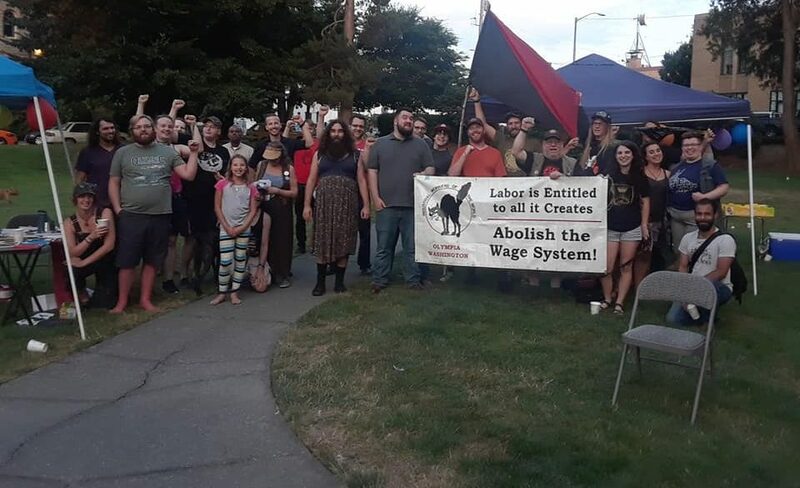 The Olympia branch of the IWW will be hosting an Organizer Training 101 on January 13th-14th from 9 am to 5 pm, both days in the Farm House of The Evergreen State College. The Industrial Workers of the World is committed to helping workers organize to win demands and change the balance of power in their workplaces. Based on the solidarity unionism framework, our Organizer Trainings will give you the tools, tactics, and strategies to build solidarity with your coworkers and take action to make real changes at your job. This introductory training focuses on the nuts and bolts of building an organizing committee in your workplace. The address is Farm Lewis Road NW 2712 NW, Olympia, WA. There is parking right next to the farmhouse, but we would like to prioritize that parking to those that are less-abled. There is parking in the main parking areas of the Evergreen campus and you will have to take a few minutes walk on a trail near Lab 1 through the forest to get to the Farm House. Here are some helpful links to better locate the space: http://www.evergreen.edu/organicfarm/visiting , https://www.google.com/maps/place/The+Evergreen+State+College+Organic+Farm/ . The training is open to both members and non-members of the IWW, so grab some friends, grab some co-workers, and get them down here to learn all about workplace organizing! The registration fee will be a suggested donation of $10. More is always appreciated, and no one will be turned away for a lack of funds. Breakfast, lunch, and an endless supply of coffee will be provided for both days. Vegan options will be available. It is not necessary to fill out the form to attend, but it will help the planners of the event know how much to cook for.